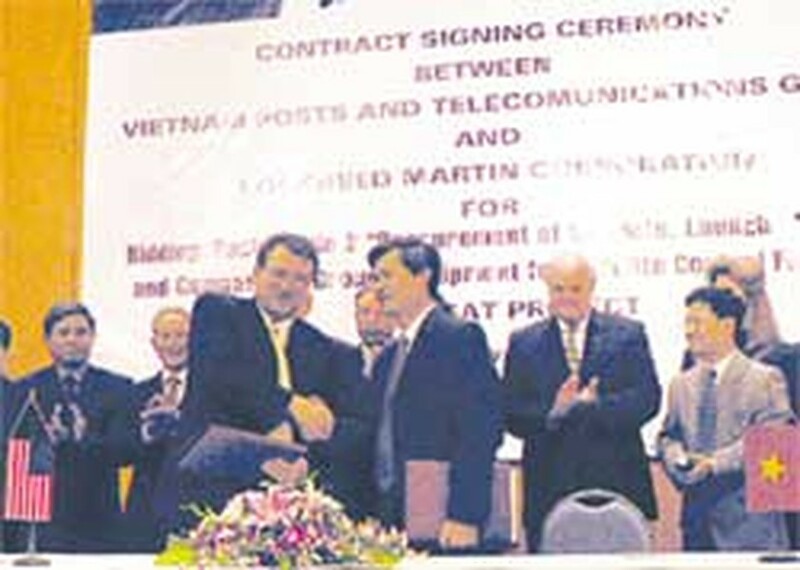 Lockheed Martin’s CEO shakes hands with the general director of Vietnam Post and Telecommunications Corp. after signing a contract for the US-based company to supply Vietnam’s first communications satellite. Viet Nam’s mobile network operators and other telcos could be in for some stiff competition from abroad as the country moves closer to joining the World Trade Organization. The nation’s booming telecommunications market, which is growing by 60-70 percent annually, is bound to attract dozens of foreign companies. Today there are more than 12 million mobile phone subscribers out of a population of 84 million. Foreign companies have not failed to see the trend in Viet Nam, which they view as a place that provides a quick return on investment. With WTO membership on the near horizon, top names in mobile communications like Motorola, Siemens, Ericsson, Telenor, Lucent Technologies and Nokia have invested in Viet Nam in recent times. Local mobile operators will surely face stiff competition from foreign companies when Viet Nam becomes a member of the WTO. Many foreign firms have shown an ambition to expand into Viet Nam’s mobile communication market by planning to buy shares of MobiFone and VinaPhone. And without sound policies and plans, Viet Nam’s fledgling mobile operators might easily be “taken over” by the foreign competition. In developed countries, there are usually between one and four mobile network operators. In Viet Nam, there are already five: VinaPhone, MobiFone, Viettel Mobile, S-Fone and E-Mobile, and another is on the way, namely Hanoi Telecom. They use GSM or CDMA in their networks. So perhaps foreign telcos will find it hard to develop other mobile technologies in Viet Nam. According to industry experts, the focus of domestic telcos on improving their services comes from an attempt to increase the number of subscribers and capture as much market share as possible before the foreign companies arrive in force. VinaPhone, MobiFone and Viettel Mobile have lowered their monthly subscription fees since June 1. Furthermore, all five mobile network operators use “6+1” second blocks for subscribers, knocking 15 percent off their monthly payment. But foreign telcos can move into the driving seat by buying shares of the native companies. MobiFone, VinaPhone and Viettel Mobile are scheduled to go public, to be equitized, so they will undoubtedly be targeted by foreign investors. Of course, equitization will bring more investment capital, modern technologies and management experience from abroad. 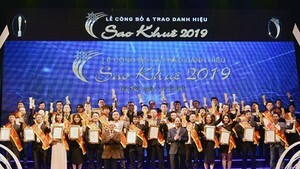 Vietnam’s first satellite, VINASAT, will be launched by June 2008, giving the country’s telecommunications industry a big advantage on the road to global integration.